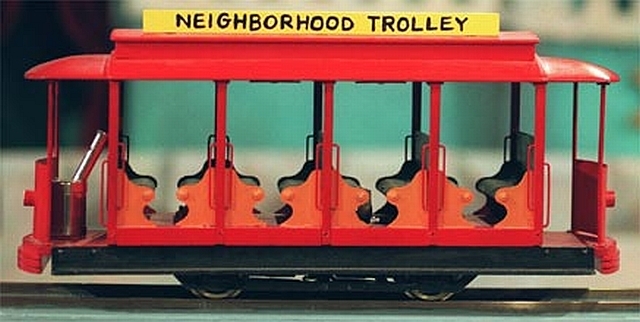 When I was very young I thought that the tails side of a penny featured the trolley from the Neighborhood of Make Believe. When I was very young I thought that monkeys imprisoned in off-site towers operated the traffic lights. Someone had to control them, after all, and flipping switches at set intervals all day, every day would be too boring of a job for people, so: monkeys. Obviously. When I was very young I thought that old folks were wrinkled because everyone grows an additional layer of skin every year. Can eighty layers of skin lie smooth? Of course not. They naturally bunch up, creating wrinkles. When I was young I thought that quicksand was an omnipresent danger. Every sand pile and patch of dirt was suspect. Keep to the sidewalk everybody, lest you sink helplessly into the ground! When I was young I thought that adults could be trusted to have kids’ best interests at heart. And that adults were never petty. And that adults always knew exactly what to do. When I was young I thought that the sovereignty inherent in adulthood (the freedom to choose what to eat, for example, or to rent unlimited VHS tapes from Blockbuster, or to skip one’s chores if one felt like it) would eclipse any day-to-day adult hardships—assuming such hardships even existed. And I once thought that I would be upset if my child beheaded the only surviving tulip in the yard. Expecting that late-onset elegance will wash over me any day now. Believing that it’s okay to pass judgment on others. Supposing that one of these days, my house will become perfectly (or even mostly) organized. Thinking that extra patience will descend on me so that, with no effort on my own part, I will always speak calmly to Sonny and Ace. Assuming that there will always be some other day for me to let people dear to me know how much I care about them. I’ve come a long way since fearing a bear in the cedar closet, but I guess I still believe some pretty weird things. What weird things have you believed?